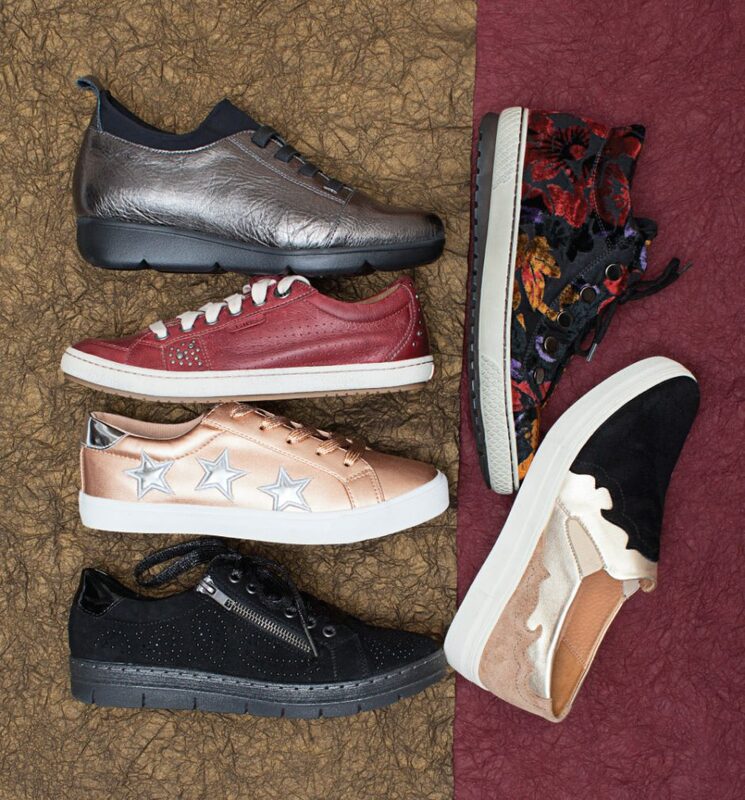 The tried-and-true hues raise the bar on men’s dress/casual sneakers. 1. Florsheim 2. Geox 3. Vionic 4. Dansko 5. Rockport 6. Ecco 7. Cole Haan. 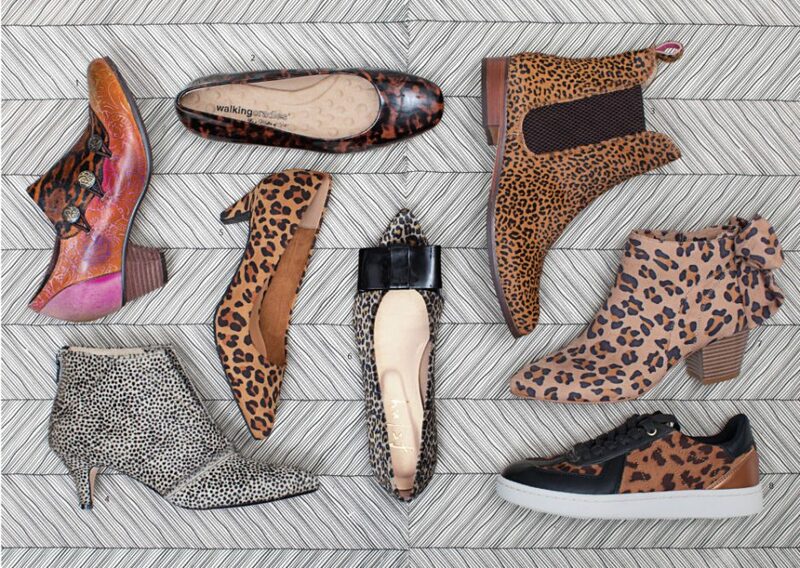 Designers pump up the volume on bold loafers. 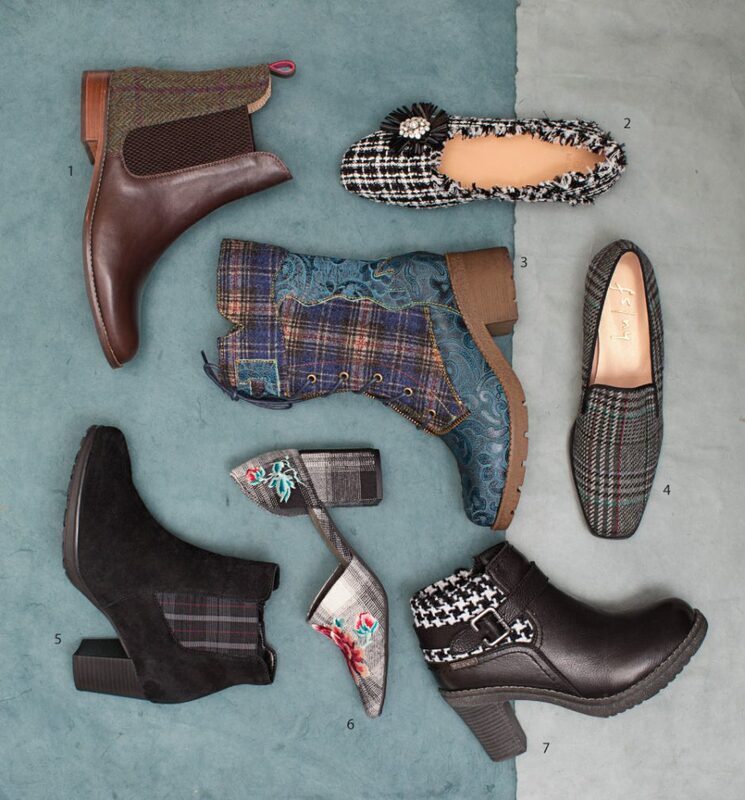 Clockwise, from top right: Geox, Seven Dials, Irregular Choice, Summit White Mountain, All Black, Andre Assous. 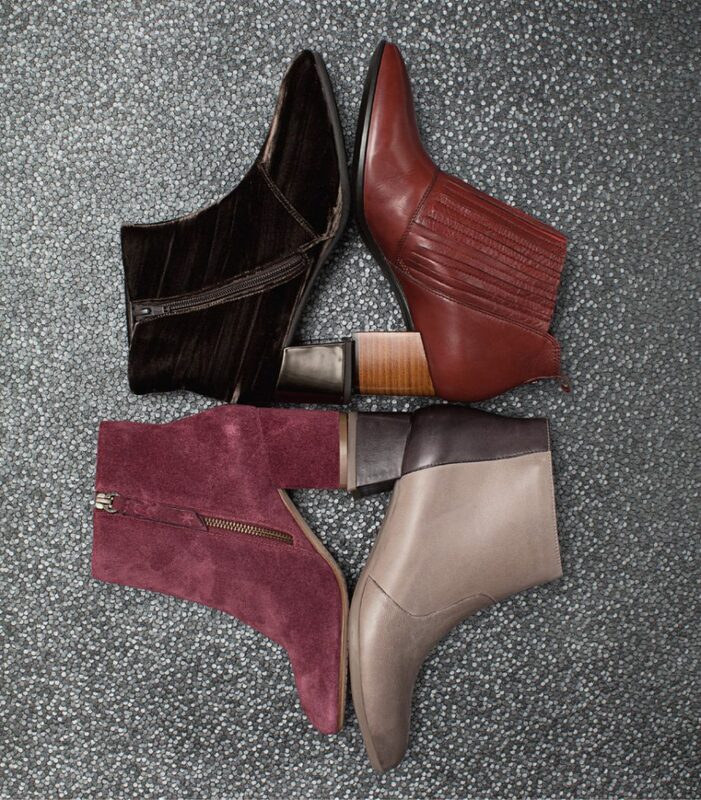 The sturdy heel adds structure and some ’tude to booties. 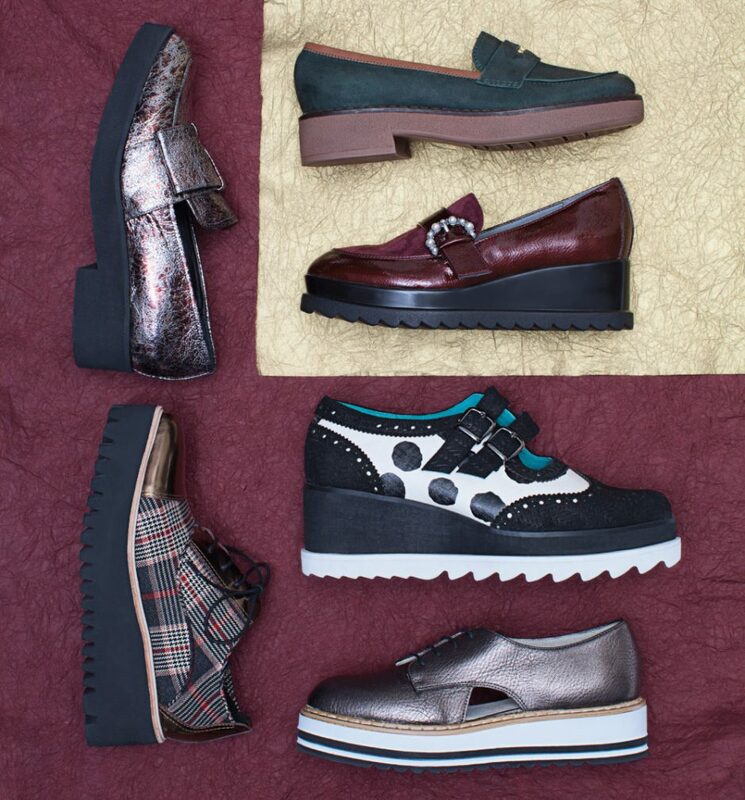 Clockwise, from top left: Gabor, Ecco, Dansko, Splendid. Athletic and casual design elements fuel these crossover models. 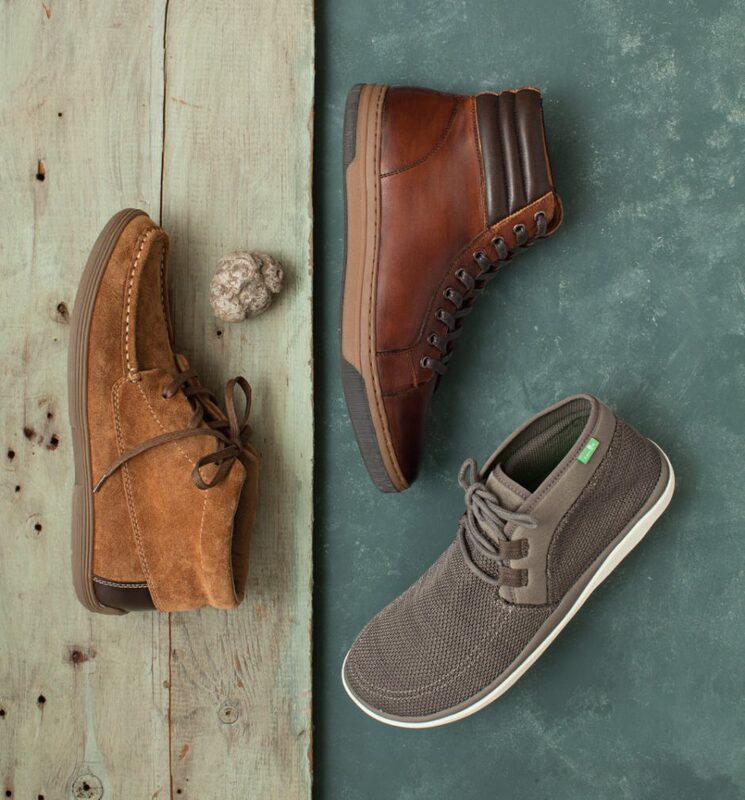 Clockwise, from left: Minnetonka, Johnston & Murphy, Sanuk. 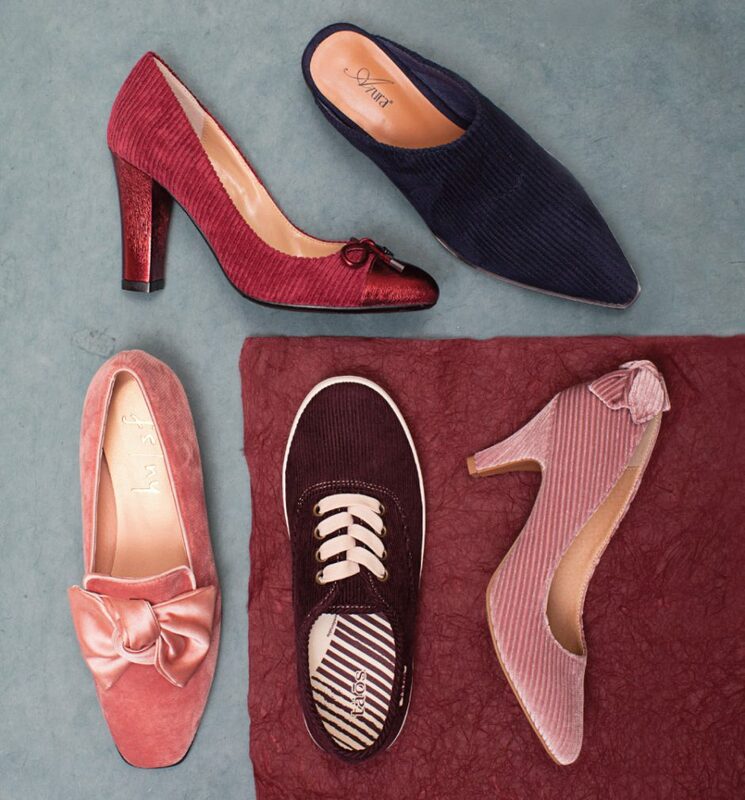 The versatile hue crops up on a bevy of styles. Clockwise from top: Propét, Chooka, Naot, Seychelles, Earth. 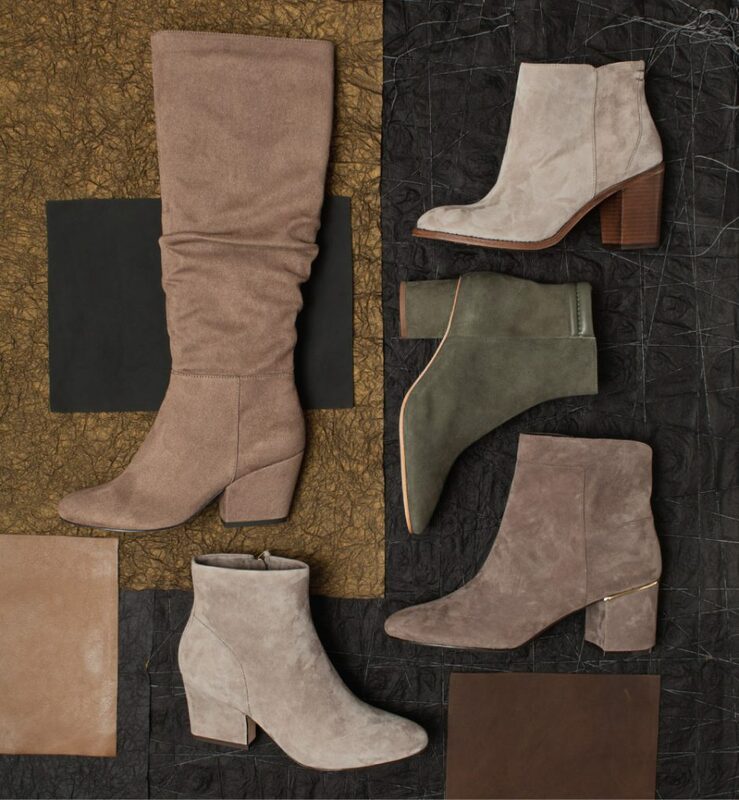 The smooth material transforms ordinary boots into extraordinary ones. 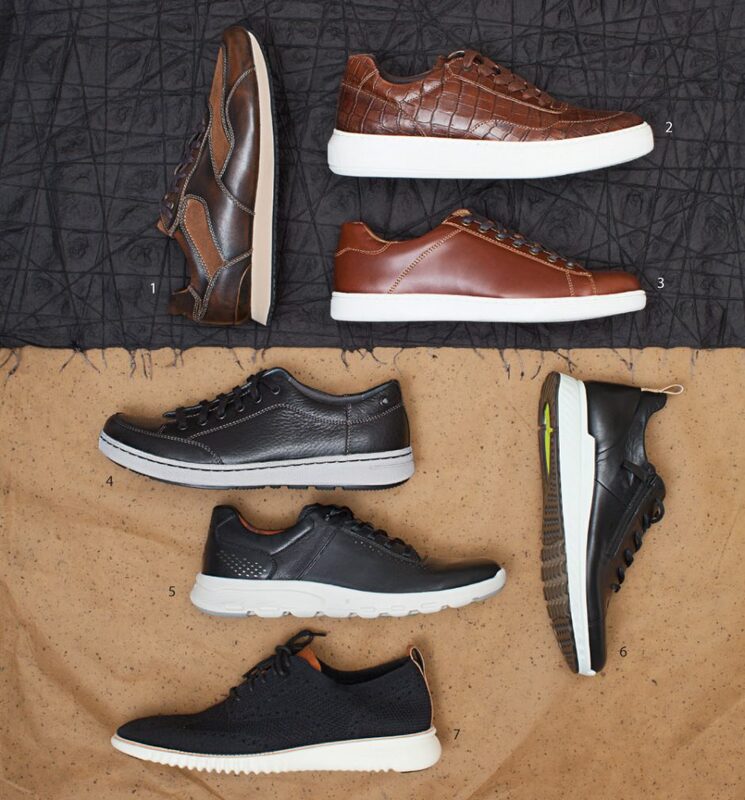 Clockwise, from top left: Easy Street, Trask, Bernardo, Cole Haan, Johnston & Murphy. 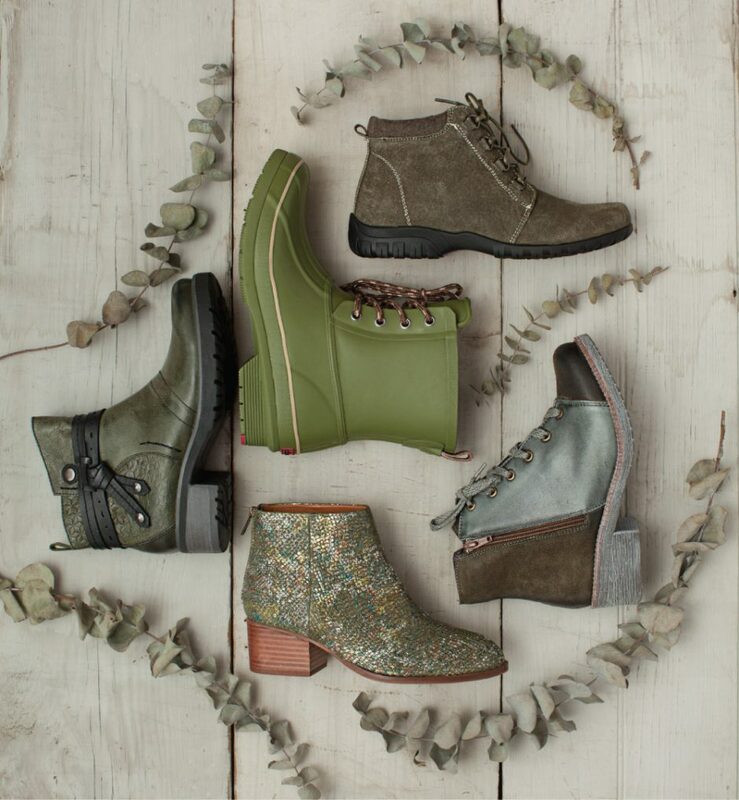 The classic, autumn fabric breezes onto a range of silhouettes. Clockwise, from top left: J. Reneé, Azura, Restricted, Taos, FS/NY.